The thermal management market is expected to be worth USD 14.24 Billion by 2022, growing at a CAGR of 7.91% between 2017 and 2022. The factors driving the growth of this market include rising demand for thermal management in consumer electronics, growing application arena, and radical miniaturization of electronic devices. Convection cooling devices are widely used in electronic circuits and printed circuit boards (PCBs). This has resulted in the growth of thermal management device market. Thus, these devices help lower the peak temperature of the systems with natural and forced convection cooling technologies. Devices such as loop heat pipes, heat pumps, heat sinks, and heat spreaders are used in providing effective cooling solutions in processors and computers, among others. Thus, the demand to maintain high efficiency of the electronic devices is expected to fuel the growth of the thermal management market. 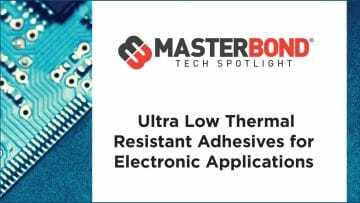 Thermally adhesive tapes are used to mechanically and thermally bond electronic components to heat sinks. These tapes consist of a pressure-sensitive adhesive (PSA) film that is filled with thermally conductive materials such as metals, metal oxides, polyimide film, fiberglass mat, aluminium foil, and silica or ceramic particles. These particles allow thermal conduction through the tape. Thermal tapes are widely used for thermal management of the light emitting diodes (LEDs) in the automotive industry as they provide high mechanical strength, and good shock and vibration performance. The increasing use of tapes in consumer electronics and automotive applications is driving the overall market for adhesive materials. North America is expected to hold the largest share of thermal management market by 2022, and it holds a tremendous potential for the market in the coming future due to its large investment in healthcare applications, increasing use of electric and hybrid vehicles, and growing data centers across the region. The market in North America consists of some of the leading markets such as the US, Canada, and Mexico. Major players in this market include Honeywell International Inc. (US), Aavid Thermalloy LLC (US), Vertiv Co (US), European Thermodynamics Ltd (UK), Master Bond Inc.(US), Laird PLC (UK), Henkel AG & Company, KGaA (Germany), Delta Electronics, Inc. (Taiwan), Advanced Cooling Technologies, Inc. (US), Dau Thermal Solutions Inc. (US), Amerasia International (AI) Technology Inc.(US), Heatex Ab (Sweden), Lord Corporation (US), and Parker Chomerics (US).